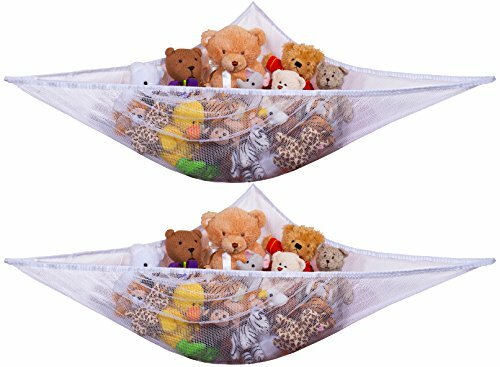 Home / Marketplace / Home and Kitchen / Kitchen and Dining / Storage and Organization / Hanging Organizers / Jumbo Toy Hammock -2PACK- Organize stuffed animals or children’s toys with this mesh hammock. Looks great with any décor while neatly organizing kid’s toys and stuffed animals. Expands to 5.5 feet. 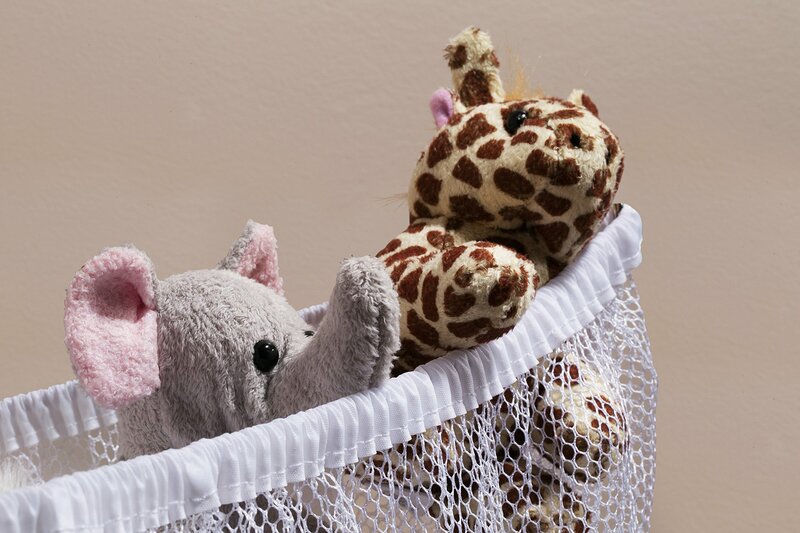 Organize stuffed animals and other children’s toys with this white, mesh toy hammock. Eliminates bedroom, playroom, and bathtub clutter while neatly organizing toys. Looks great with any décor and easy to attach to any wall with the hook hardware included. Children’s stuffed animals can easily take over their bed, bedroom, and playroom, so parents need an easy storage solution. The Jumbo Toy Hammock is a novel toy way to hold and organize kids’ toys, pillows, stuffed animals, and other items, in an attractive way that becomes part of the décor. You can also use it in the bathroom to store bathtub toys, giving them a unique way to drain and dry out until their next use. 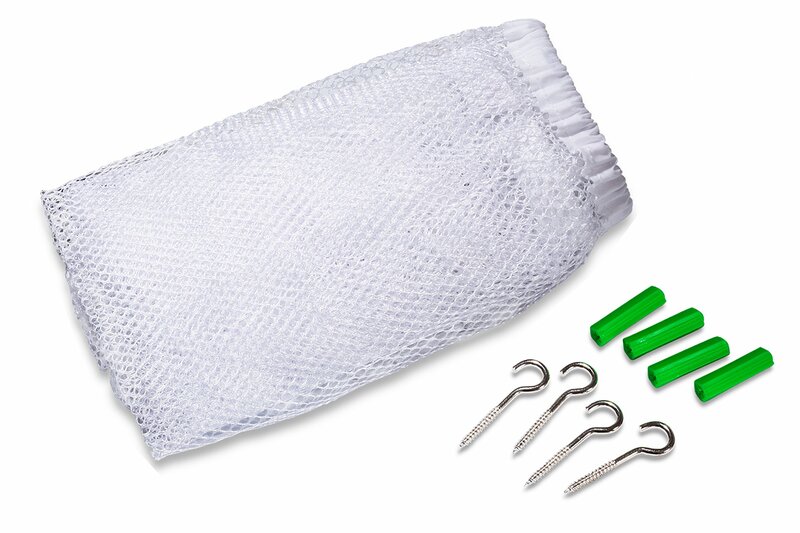 The white mesh material is durable enough to hold 30 or more items at a time. Just string it across a corner, like over their bed where little ones will enjoy having their stuffed animal friends close, or along any wall where they provide a colorful decoration. It’s easy to attach to any wall with the hook hardware included or use adhesive wall strips. The elastic binding can expand up to 5.5 feet. Because of our mesh construction, kids and parents can see all the toys that live in the hammock, making it easy to choose which ones will come out to play. It’s also easy to store them again when playtime is over, encouraging kids to help with the clean-up. Because you’ll want one in the kid’s bedroom and playroom, we sell the Jumbo Toy Hammock in packs of two. The elastic binding can expand up to 5.5 feet in a corner or any convenient spot along a wall. 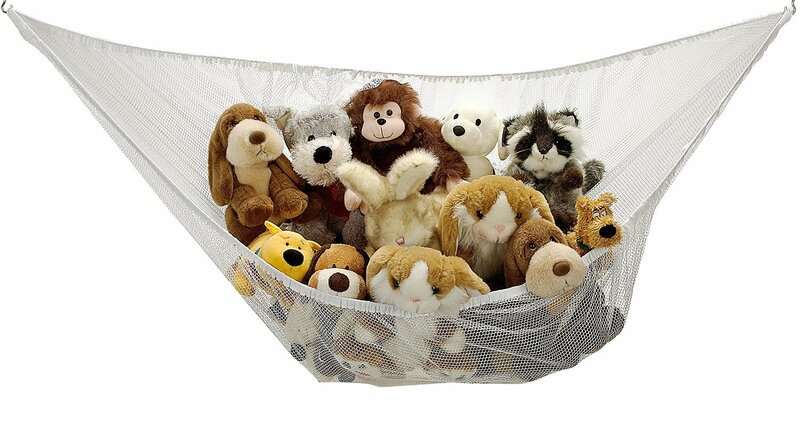 Depending on the size of the items, the toy hammock can accommodate 30 or more stuffed animals. 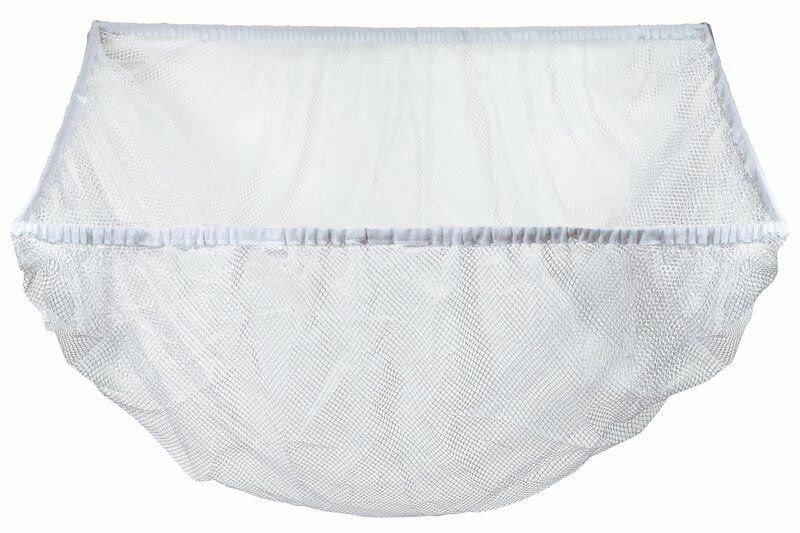 Multipurpose nets at a great cost,holds socks,toys,scares,etc.great product,well made to. The niece and nephew have this in their small apartment and with a 1 year and three year old they love because of the saving of room. I know they are outgrowing the apartment but for now they have to do what they have to do. This will last them until they find a 3 bedroom apartment that is affordable in saskatoon.